Madd Reign Entertainment Presents Persona Born Courtland Ross from the streets of Philsdelphia.He begin is love for music while listening to the records his step father would play on the weekend. He began rapping at the age of 11 competing in lunch battles at School. Persona is the first rapper to perform The Philadelphia Jazz Clef Club. 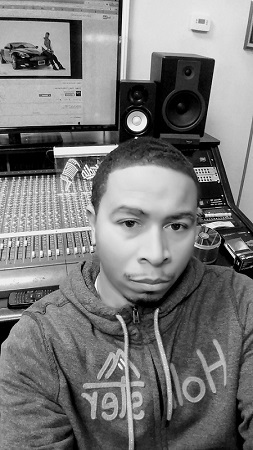 He has performed with likes of hip hop Greats Run Dmc,Special Ed, Chub Rock, 3x dope, Schooly D and many more high powered artists.Persona has been on various radio shows through out the country. Persona has been on international Dj Sco next to blow mix tape in Austraila. Persona his prepping his best body work My thoughts My Words My life releasing summer 2017. 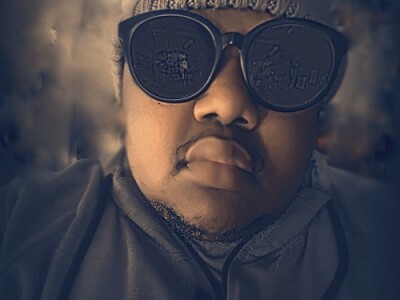 While his single Interstate featuring Maddness and Budda Banks is catching steam He becoming more of a workaholic crafting catchy tunes and substance in the music. Q:how easily do songs tend to come to you? Q:For our readers who have never heard your music, explain your sound in 5 words? Q: you write all of your own music;where do you draw inspiration from when you write songs and whats your favorite part about the process? Q: what is your favorite song to perform live? Q: do you have any events coming up or recording going on right now? Q: Do you have any advice for anyone wanting to rap/sing as a career or just advice about careers in general? Ans:Stay consistent, Stay true to youself and don’t let anyone tell you ‘YOU CANT”. Q: If you had a soundtrack to you life what song/songs would have to be on it? Q:What are your fondest musical memories? in your house? in your neighborhood or town? Ans: the first time i heard my song on the radio and my show with Run Dmc at Temple university Jam Master Jay was alive then. Q:Do you get nervous before a performance or competition? Previous Post Previous post: Riccardo Vino –The Singer To Watch For! Talented and versatile music duo Scenixx is ready to impress you! Brody B.presents his new debut single Fast Lane feat. 2 Chainz! Sound & Track Mag is an award-winning music website with passionate writers and photographers, exclusive music videos, positive vibes, and a vast catalog of interviews (over 1,500). With a team consisting of 50+ writers and photographers based throughout Canada, US, England, Ireland, Germany, Poland, and Australia, we search to help expose new bands to our readers, along with writing about our personal favorites. Copyright © 2019 SnT Mag. All rights reserved.